Check out our new transcription mission for Citizen Archivists and UFO enthusiasts! Help us transcribe information gathered by the Air Force about specific UFO sightings. 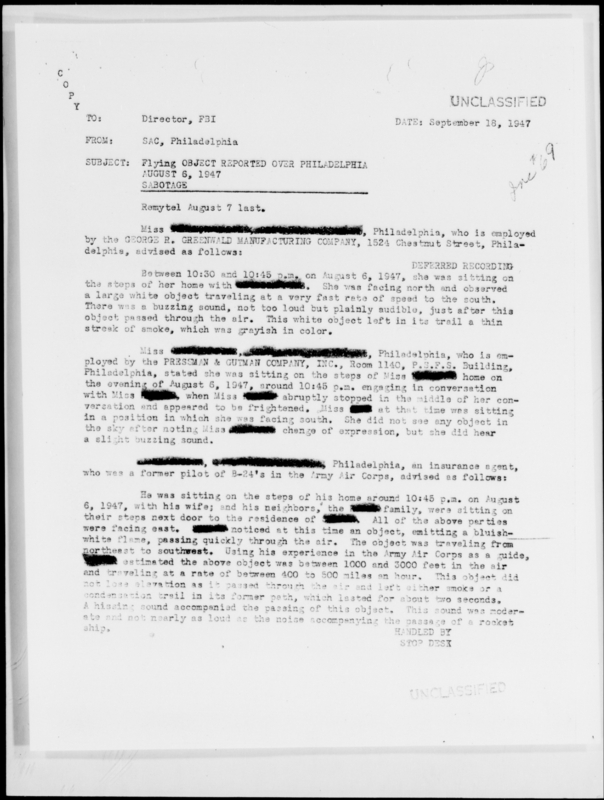 Each file contains reports from UFO observers, correspondence between observers and the Air Force, newspaper and magazine clippings, and reports of analysis of photographs and physical evidence. Live long and transcribe! Want to learn more about these records and other tales from the strange and mysterious? Check out our Catalog newsletter!